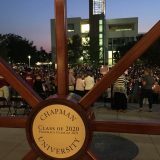 Many of our readers live too far away to attend events on campus, so now there is a way that everyone can enjoy many of the amazing programs and activities at Chapman University: www.youtube.com/chapmanuniversity. Chapman’s YouTube channel features nearly 300 videos. 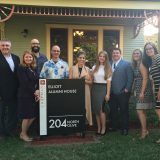 These include wonderful events and scholarly lectures, student-filmed documentaries such as Community Voices, and informative programs including Chapman Business Report, Dialogue with Doti and Dodge and Chapman Shorts. There is even a great overview of Chapman that was created this last summer. Our personal favorite is a sweet little 2-minute student film called A Day at Chapman.